. :Hair Meme:. ~ Kakui The Lynx. . HD Wallpaper and background images in the Sonic Fan Characters club tagged: fan character my seuris fanart. Kakui hates too girly hairs D: nya! And tahnks again 8'D Nya! @Luna; Aww tahnks :3 But dont call her cute, when she hear it! D8 Gets mad! @Zenzes: Hmm... Yo KAkui! :3 Can I cut your hair? Kakui; Nou .D. I will cut it myself, if I need to! 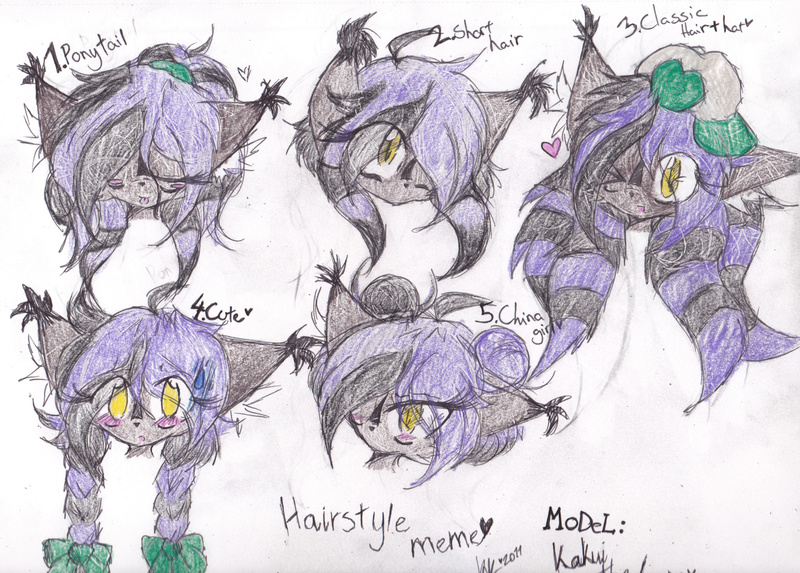 @Zenzes; Kakui; I have millions more hairstyles for long and short hairs so no problems .D.